How Do I Get Started on My Treatment Plan? Once you have been diagnosed with uterine fibroids, or you are experiencing symptoms common to fibroids, you should think about the steps you need to take to find the right treatment for you. The experts at the Fibroid Center have outlined four basic steps you can take to help you weigh your options and make an informed decision that’s right for you. Step #1 – Conduct Your Research First! In order to make an informed decision, you need to conduct research about the different types of fibroid tumors and their effects, and the different types of treatments available to you. As you conduct your research, you will also want to explore the difference between Uterine Fibroid Embolization (UFE) and traditional surgery for fibroids including: Myomectomy, Hysterectomy and Endometrial Ablation. It is also important that you factor in your feelings about future fertility, as well as menopause. You can also learn a lot by talking to other women who have or had fibroids and have had different treatments. Step #2 – Call The Fibroid Center and Schedule a Consultation with a Fibroid Specialist. After you have completed your research, your next step is to schedule a one on one consultation with a physician to get advice about your specific circumstances. Fill out the “request a consultation form” and one of our staff will contact you to set up the appointment. Step #3 –Meet Your Doctor at the Fibroid Center. 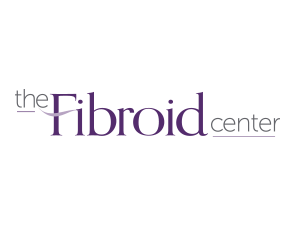 When you come to the Fibroid Center for your consultation, you will meet one-on-one with a board-certified physician specializing in Interventional Radiology. During your consultation, your doctor will review your medical history and records with you, ask you questions about your symptoms. If you have imaging and/or imaging reports, you may bring them with you to this appointment. If it is determined that you are a good candidate for the Uterine Fibroid Embolization procedure, we will schedule an appointment for the procedure at the end of the consultation. ……. If you need imaging, we will order and schedule the study for you. Once we get the results from the MRI or Ultrasound, your doctor will be able to determine whether Uterine Fibroid Embolization (UFE) is the right treatment for you. Step #4 – Complete Necessary Imaging Study Scheduled For You. MRI and Ultrasound are the preferred studies to evaluate fibroids. MRI is the first choice however, ultrasound is the second option. During the consultation, we will go over what imaging is best for you and your medical needs. If it is determined that UFE is not the right treatment for you after reviewing the images, we will contact your OB-GYN and/or primary care physician to help you pursue an alternative treatment option.